Every account of the American Revolution mentions Benedict Arnold and brands him—correctly—as a traitor. There’s no question that Arnold, an American army officer, switched his loyalty to the British side. Over the years, however, historians, partisans, and gossips have added to Arnold’s unsavory reputation by distorting, embroidering, or simply ignoring factual details. In this informed and thoughtful account, Jim Murphy goes in search of the real man behind the “traitor” label, rumors, and folktales that became part of the Benedict Arnold legend. Drawing on Arnold’s few surviving writings and on the letters, memoirs, and political documents of his contemporaries, Murphy builds a fascinating portrait of a brilliant man, consistently undervalued by his peers, who made a choice that continues to reverberate through American history. Dramatic accounts of crucial battles and political maneuvers round out this lively biography of a patriot who could have been a hero. This well-developed account will be valuable to Revolutionary War enthusiasts, and the index andf bibliogaphic notes will assist report writers in junior high and beyond. The author's consideration of other historians' theories and use of sophisicated vocaulary will challenge his audience to think critically and conisder all points of view. Perhaps we can never know the real Arnold, but this splendid biography brings us close.The final section provides fascinating reading as well as additional resources. Buffs of the era, military enthusiasts, and biography readers will be entranced by this fascinating, well-researched volume. 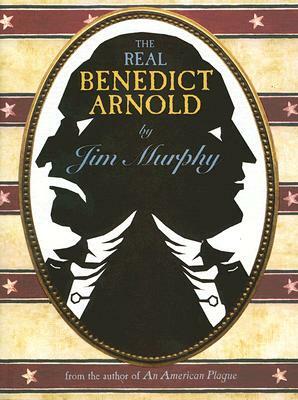 Murphy examines both rumors and facts about Arnold so that readers can 'see Benedict Arnold in as fair and as objective a way as possible. This fast-paced, interesting, and well-written book sheds light on who he was before his traitorous act and why he chose to commit it.